Channel 5 has revealed the second Celebrity Big Brother housemate hint in a cryptic new video. The new series of Celebrity Big Brother is set to return to our screens on 3rd January 2017 and with rumours flying around about who will be entering the house, Channel 5 bosses have been teasing fans with new ambiguous videos ahead of the launch night. The second housemate hint has been released and in this teaser, a silhouetted celebrity figure speaks in a distorted voice. Who on earth could it be? Unfortunately, CBB fans will have to wait until the new year to find out the confirmed celebrity identities. The show has already announced the all-new twist for the next series. A spokesperson from Channel 5 confirmed: “This time we’ve invited back some of your favourite CBB housemates: the All Stars who will be joined by a bunch of brand new celebrity housemates: the New Stars. Some of the rumoured celebs have so far have included Katie Hopkins, Perez Hilton, Stephen Bear, Calum Best and Danielle Armstrong. X Factor‘s Bratavio, Made In Chelsea‘s Sam Thomson, Kim Kardashian’s BFF Malika Haqq and Bianca Gascoigne are also all on the rumour list. 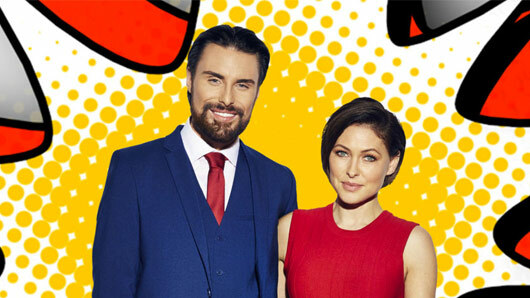 Celebrity Big Brother returns Tuesday 3rd January at 9pm on Channel 5.